The latest organizational news. If you would like more information, please contact Andrea Driedger at adriedger@bcadoption.com or 604-320-7330 ext 108. April 4, 2019 – VICTORIA—After 1,000 adoption placements and 30 years of service and support to adoptive families, expectant parents, and birth families, CHOICES Adoption and Pregnancy Counselling has announced it will close on May 31, 2019. CHOICES is working with the Ministry of Children and Family Development to ensure that families who have adoption files with CHOICES do not experience a disruption in service. They will be communicating directly with those birth parents and families to advise them of the process. CHOICES was one of the first licenced adoption agencies in BC. They were committed to finding families for waiting children since before the BC Adoption Act, and their passion, commitment, and leadership has been critical to the adoption community over the years. AFABC offers our support to CHOICES’s staff and affected families through this difficult transition. Our family development team offers free and confidential supports to all adoptive families, including waiting families. For general adoption information and support, call us at 1-877-ADOPT-07. For more intensive support needs, call our Adoption Counselling line at 1-866-902-7330. See www.bcadoption.com/support for more information on all of the support services available to families. BURNABY – November 5, 2018 – This November, several BC landmarks will go green to shed light on adoption. On November 9th and 16th BC locations – including the BC Legislature Building, BC Place, the Royal BC Museum, Canada Place, and Vancouver City Hall– will help us illuminate the message that adoptive families make great families, and will shine a light on the reality that hundreds of BC kids in foster care are still waiting for an adoptive family. Adoption Awareness Month is proclaimed every November in BC to draw attention to the number of children and teens who are waiting for permanent homes through adoption, guardianship, or a kinship placement. Nearly 1,400 kids have been adopted from government care in the past five years, but there is still an ongoing need for more adoptive families – particularly, Indigenous families and families willing to take on larger sibling groups, teens, or children with significant special needs. Adoption Awareness Month also draws attention to the unique supports and services that are necessary in helping adoptive families thrive. Education, post-adoption financial assistance, in-home support, and events that build connections are all key ingredients to being a healthy adoptive family. There are hundreds of children and youth in foster care in BC waiting to be adopted. Did you know that this year, 49% of children in foster care who went on to be adopted were adopted by their foster families? If just 0.4% of Canadians who have considered adopting from foster care followed through, then every child in Canada’s foster care system would have a safe, loving, and permanent home. Since 1977, the Adoptive Families Association of BC (AFABC) has been dedicated to finding families for children and also to providing groundbreaking programs that support the entire adoption community. The Adopt BC Kids toll free line, Wendy’s Wonderful Kids, AgedOut.com, Focus on Adoption magazine—all are designed to raise adoption awareness, raise funds to support adoption, support children and youth who are waiting for families, and to help families get ready and stay steady throughout their adoption journey. November 1, 2018 -- November is Adoption Awareness Month, and British Columbians who are looking to start or expand their families now have a new, free-of-charge online resource to help teach them the ins and outs of adopting in B.C. Adoption Basics, offered by the Adoptive Families Association of BC (AFABC), is an interactive orientation tool that gives prospective adoptive parents the right information to help them make informed decisions about their intent to adopt, before applying. This online resource means prospective adoptive families can work through the materials at a time that best suits their personal schedules in the privacy of their own homes. That means equal access throughout B.C., especially in rural locations where the face-to-face courses may not have been as accessible. Adoption Basics also offers individuals a realistic understanding of whether adoption is the right fit for them. It is meant to highlight the needs of the child, shifting the emphasis away from the approval process. AFABC is a non-profit organization providing advocacy, awareness, training, education and networking events for prospective and adoptive families. Any B.C. resident, 19 or older, is eligible to apply to adopt. There have been 244 B.C. adoptions in 2017-18. Of the children in foster care who were adopted in 2017-18, 39% were adopted by their foster families. October 12, 2018 – VANCOUVER - After more than 700 adoption placements and 21 years of service and support to adoptive families, expectant parents, and birth families, Family Services of Greater Vancouver Adoption Agency has announced it will close on November 1, 2018. FSGV is working with the Ministry of Children and Family Development’s Adoption and Permanency Branch to ensure that families who have adoption files with FSGV Adoption Agency do not experience a disruption in service. They will be communicating directly with those families to advise them of the process. “Families remain the top priority for Family Services of Greater Vancouver and will be supported through the transition process,” says Kirkpatrick. FSGV Adoption Agency has been a key member of the adoption community for over 20 years. The passion, commitment, and leadership of the FSGV Adoption Agency team has been critical to the adoption community over these years. AFABC offers our support to FSGV’s staff and affected families through this difficult transition. Family Services of Greater Vancouver, FSGV Adoption Agency’s parent organization, remains open. AFABC looks forward to our continuing partnership with FSGV on events such as the Stand Together Conference we co-host every March. FSGV Adoption Agency has encouraged its clients to stay involved in the adoption community by connecting with the Adoptive Families Association of BC (AFABC). AFABC’s family development team offers free and confidential supports to all adoptive families, including waiting families. Our next Waiting Parents Meeting is November 29 in Vancouver. See www.bcadoption.com/support for more information. For general adoption information and support, call us at 1-877-ADOPT-07. For more intensive support needs, call our Adoption Counselling line at 1-866-902-7330. For more information on FSGV Adoption Agency and for details on how current and past client files will be handled, please go to www.fsgvadoptionagency.ca. 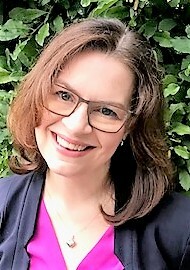 September 10, 2018 -- BURNABY -- Please join us in welcoming Anne Tower as the new Executive Director of the Adoptive Families Association of BC (AFABC). Anne is a dynamic and strategic leader with a 20-year track record of measurable impact in social profit (not-for-profit) and public sector organizations, working closely with the private sector. As an adoptee, Anne also brings a deeply personal connection to adoption and the work of AFABC. Anne comes to AFABC from Junior Achievement of British Columbia, where she spent a decade in leadership positions. Prior to that, she worked at BC Housing, the Canadian Education Centre Network, and the Vancouver Public Library. She has built her career growing organizational capacity, relationships and teams, working with diverse Boards and leaders in strategic and operational planning, and working with diverse staffs in implementation. She has experience in municipal, provincial, federal, and international contexts, with a focus on youth education and economic development. The Board and staff are excited about the skills and passion that Anne brings to AFABC. If you'd like to get in touch with Anne, please feel free to reach out at atower@bcadoption.com. Please join us in congratulating and welcoming Anne to her new position as AFABC’s Executive Director! June 18, 2018 – VANCOUVER - The Adoptive Families Association of BC (AFABC) is pleased to announce the winners of the 2018 AFABC Adoption Awards. These awards are presented to individuals and organizations that make a difference in the lives of waiting children and youth, and adoptive families in British Columbia. The AFABC Champion Award was presented to Tara Hultin. Tara has been a volunteer with AFABC for over 5 years. The time and dedication she has put in as a Safe Babies panels and as a buddy parent demonstrates her passion for helping adoptive families. The Spirit Award – Corporate goes to Social Venture Partners Vancouver. We are incredibly appreciative of SVP Vancouver’s support of our online adoption education programs which has resulted in equal access for rural communities, faster approval of families, and improved family readiness to adopt. SVP Vancouver’s generosity exceeded an amazing $80,000 and continues to help our organization deliver essential education services to families across BC. The Spirit Award – Individual was presented to Sonja Weissenbacher. For over fifteen years, Sonja has supported AFABC through community fundraising initiative, individual and monthly giving, and at charitable events. This kind of long-term financial support is the foundation on which AFABC can deliver consistent programs and services to our clients. Since 1977, AFABC has been dedicated to finding families for children and also to providing ground-breaking programs that support the entire adoption community. The Waiting Child Toll Free Line, Wendy’s Wonderful Kids, the Speak-Out Youth Zone, Focus on Adoption magazine—all are designed to raise adoption awareness, raise funds to support adoption, support children and youth who are waiting for families, and to help families get ready and stay steady throughout their adoption journey. BURNABY –April 10, 2018 – Two youth from foster care or who have been adopted will receive $1,000 to help them achieve their education goals thanks to the Howard Youth Legacy Fund and the AFABC Youth Bursary. Bursary recipients can use the money to cover necessary expenses—such as school fees, living expenses, childcare, computers, or textbooks—while they attend a vocational, trade, or academic post-secondary program. If needed, the funds can also go towards school fees. This flexibility means that youth who qualify for tuition waivers or Agreements with Young Adults (AYA) funding under the BC government's new programs can still apply for these bursaries. By reducing the stress of making ends meet and cutting down on the need to work while attending school, these bursaries increase the potential for adopted or fostered youth to excel in their studies. Victoria grandmother, volunteer, and philanthropist Peggy Howard raised $15,000 with the help of her friends and family in 2012 to create a bursary for foster youth through the Adoptive Families Association of BC (AFABC). "I just couldn't imagine the thought of these vulnerable teens not having family support," says Howard, an adoptee herself. "I am too old to adopt, but I felt that there must be something I could do to address, even in some small way, the barriers they face." The AFABC Youth Bursary was established in 2013, with funding from AFABC, and accepts applications from youth who have joined their family by legal adoption. A total of 15 youth have been awarded funds since both bursaries were launched. "I hope that this bursary will provide not just financial support but also some motivation for these youth, something that says, 'Yes, you can go to college or university!'" says Howard. "I hope it gives them inspiration and a strong belief in their own potential." Are you a youth between the ages 17-26 who's adopted or who spent time in government care, and is applying or returning to post-secondary school this fall? Join us at AFABC's Burnaby office (#200-7342 Winston Street) on April 17th from 6-8pm for a workshop that will help you fill out your bursary application! To RSVP or for more information, contact Jenna at jdales@bcadoption.com or 604-320-7330 ext 118. For over 40 years, the Adoptive Families Association of BC has been dedicated to finding families for children and also to providing groundbreaking programs that support the entire adoption community. The Adopt BC Kids toll free line, AgedOut.com, Wendy's Wonderful Kids, the Speak-Out Youth Zone, Focus on Adoption magazine—all are designed to raise adoption awareness, raise funds to support adoption, support children and youth who are waiting for families, and to help families get ready and stay steady throughout their adoption journey. Contact us any time, online or by phone.